WDA participates in Amazon Smile. Each purchase results in a contribution to WDA from Amazon.com. For More Information click here. *We began with a maturity philosophy. We knew Jesus had a plan for building mature leaders. His Great Commission assumed this “pattern of sound teaching” (2 Tim. 1:13), and the early church employed it to help people grow in Christ-likeness. Of course His plan would apply to the contemporary church, too. *Using Jesus’ approach as a template, we designed a process for producing maturity in the church that included a progressive, intentional architecture for growth. *Building on this process, we developed practical programs to support maturity. 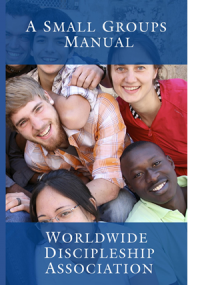 These can be implemented in local churches through lay leaders. *Next, we produced a progressive curriculum that provides the content and training needed to support the programs. *Finally, we built partnership prototypes in a few local churches that have implemented our process. 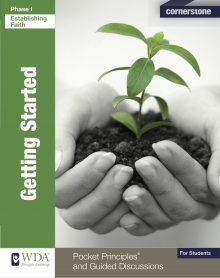 This book represents an explanation and overview of what we’ve learned so far. We’ve reached a critical intersection. Christians need to be trained to think, feel, and act like Jesus (Luke 6:40). God commands this for the glory of His name. In addition, our culture has a desperate need for mature people. This project is much larger than our small organization. It will require collaboration and cooperation among all believers, especially Christian leaders. The declining Western Church needs restoration. The Church in other nations needs to be better equipped. If we hope to achieve these goals and follow Christ’s commands, we must work together. We know maturity is important. But we don’t always understand the best way to harness the processes that produce it. If you’re a church leader who feels this way, you’re not alone. 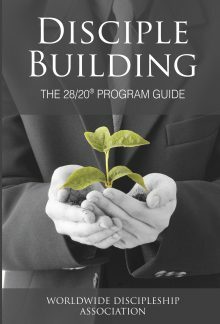 In this book, we’ll present practical, biblical approaches for producing maturity. As you read and study this material, we hope you’ll grow-and join a movement that urges others to do the same. Everybody needs to grow and mature, but this book is aimed at Christians who realize something has gone terribly wrong in the Western societies that once embraced biblical Christianity. They sense, even suspect, that underlying issues exist within the church that connect to the cultural decay and the shift of worldviews. And they’re right. 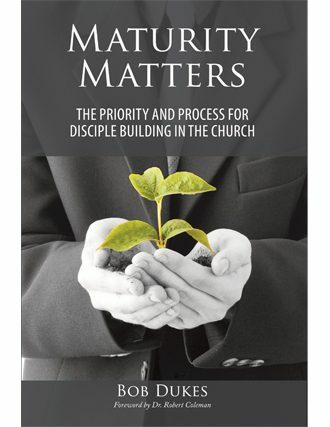 God has placed the church-along with the family- at the center of the maturation process. By strengthening the church, we bolster the family and, in turn, our society. Robert D. (Bob) Dukes is the President and Executive Director of Worldwide Discipleship Association headquartered in Fayetteville, Georgia. Bob has been with WDA since it was founded in 1974. Prior to becoming WDA’s 2nd President in 1997, he served as Campus Director at The University of Tennessee, National Campus Director, and Executive Direc- tor/Vice-President. 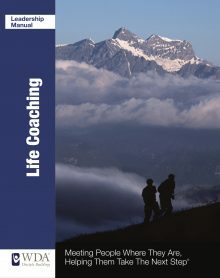 He is the author/co-author of many educational publications and articles including: A Biblical Framework for Disciple Building; A Practical Strategy for Disciple Building; Disciple Building for Small Groups; and Disciple Building for Life Coaches. He serves as a founding member of The Steering Committee for The Pierce Center for Disciple Building at Gordon-Conwell Theological Seminary in Boston, MA. Bob graduated from Columbia University in New York, and attended Reformed Theological Seminary. He was awarded several honorary athletic and academic honors including Columbia’s prestigious “1917 Football Cup.” He was a finalist for The Rhodes Scholarship, selected as an “Outstanding Young Man of the Year” by The International Jaycees, and inducted into The East Tennessee Football Hall of Fame. The Dukes reside in Fayetteville, GA and have five children and many grandchildren.